Last Tuesday, Nathan Seeley had a particularly bad day. He should have stayed home and kept his dog indoors. First, Nathan's car broke down. So, he brought it to a garage to have it fixed. Then, Nathan's dog ran away. So, because he had no car, he got a "loaner" from the garage and went in search of his dog. 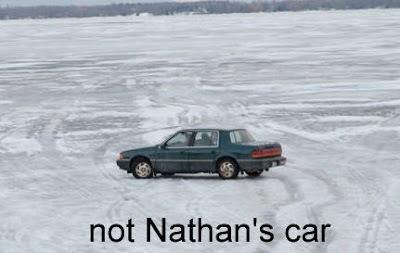 Nathan drove the borrowed Buick onto the frozen surface of the Black River, in Port Huron, Michigan. In itself, that was no problem, since the ice is thick and the river is often used by cars and snowmobiles at this time of year. 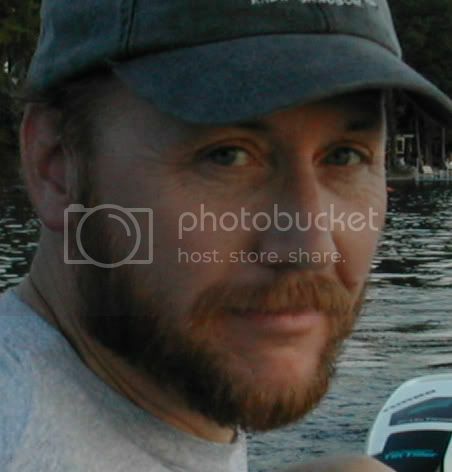 Once on the river, Nathan got out of the car to look for his dog. To keep the car warm, he left it running... and accidentally locked himself out. It seems that exhaust and engine heat in one spot tends to melt ice. So, Nathan had the opportunity to watch the ice around the car slowly melt. Then he watched as the car broke through the ice and dropped from sight into the river below. He now faces a fine for having a car in the river, fees to retrieve the car, and the cost restoring a thoroughly drowned car. Still no word on the dog. why didn't he just break a window and get back in the car? would have been a lot cheaper to replace a broken window then the whole car plus the cost of fishing it out of the lake plus a hefty fine for pollution.